If you’re an up-and-coming entrepreneur, you need to leverage platforms like social media. Not only does this give you access to the people you want to do business with, but it can save you a lot of money (especially if you don’t want to blow your marketing budget on paid advertising). If you’re really good at podcasting, then you would be more naturally inclined to create this type content and it will do better than forcing yourself to produce long bodies of text if you don’t particularly enjoy writing. If, however, your goal is to become recognised at events and in your niche or community, then videos will help you more than anything else. If your main goal is generating more website traffic, then high-quality written content is the way to go. Consider what your specific goals are before you start producing content. 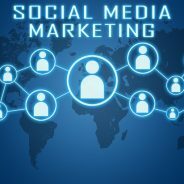 Need help with your content marketing or social media marketing? WSI OMS can help you. Contact us for more information today.